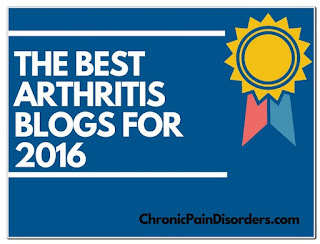 I am very honored to be included on ChronicPainDisorders.com's list of The Best Arthritis Blogs for 2016! The list includes some of my very favorite RA bloggers - many of whom I have had the great pleasure to meet in person - so make sure you check it out! Thank you for recognizing my blog!